URALIC Centre for Indigenous Peoples joins Association of Ethno-Cultural Centres and Heritage Preservation Organisations ECHO (Republic of Karelia, Russian Federation) and 5 NGO partners from Russia, Estonia and Finland to implement the project “Civil Society Network for Revitalising Indigenous Languages”, funded by the Baltic Sea Region NGO Programme of the Nordic Council of Ministers. 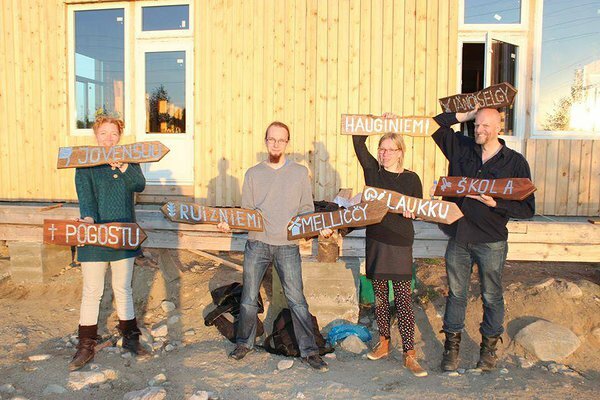 The project aims to contribute to the preservation and revitalization of indigenous Finno-Ugric languages of the Baltic Sea region by establishing an international network of NGOs involved in this field, for sharing good practices and developing new ones, especially those exploring synergies between languages and traditional knowledge. The timing is aligned with the UN-proclaimed International Year of Indigenous Languages 2019, to which project partners will make a substantive contribution while also learning from best practices across the world. Project partners include seven NGOs already involved in, or interested in entering the language field: Association ECHO (Republic of Karelia / Russia) as lead partner, Centre for Support of Indigenous Peoples and Civic Diplomacy Nuori Karjala, Karelian Language House (Karelia), Community of Izhora people SHOIKULA (Leningrad Oblast), Indigenous Peoples' Development Centre URALIC, Seto Cultural Fund (Estonia), and Giellabalggis ry (Finland). The 18-month long project will include five working meetings of partners, local experts and activists. Meetings will be held in Karelia, Leningrad Oblast, Estonia and Finland, thus enabling network members to get acquainted with the work of civil society organisatsions on the preservation and revitalisation of indigenous languages. Key outputs of the project include a mini-grant programme to support Finno-Ugric language practitioners with implementing novel initiatives during the International Year of Indigenous Languages, as well as developing an interactive online publication showcasing the work of Finno-Ugric peoples on preserving and revitalizing their languages (including results of projects supported by minigrants). The project will engage NGOs from the following regions with Finno-Ugric indigenous peoples: Russia's Northwest (Republic of Karelia, Leningrad Oblast, Murmansk Oblast, Komi Republic, Pskov Oblast), Estonia (Setomaa region), Finland, Sweden and Norway (traditional Saami areas and urbanized Saami communities). According to Svetlana Kolchurina, Managing Director of Association ECHO, the project constitutes an important milestone for not only project partners, but the Finno-Ugric civic movement in general, “With this project we expect to demonstrate the practical value of Finno-Ugric collaboration to organisations and activists involved in language work throughout the Baltic Sea region. We are excited that the project coincides with the UNESCO-led International Year of Indigenous Languages 2019 – this will give the project more international exposure and an opportunity to better align our work with global processes concerning indigenous peoples and their linguistic an cultural rights.” Kick-off meeting of the project will be held in Vedlozero village of the Republic of Karelia, hosted by the House of Karelian Language.